Whether you are just getting back into the game now after a few off-seasons, (or twelve years), are a soccer spring season regular, or you play the sport professionally, just like any trade, your equipment can make all the difference. So why not make it the best? Basic factors to consider include your position, the type of field you normally play on, your body type, and more. Though buying the “perfect” cleat might not immediately turn you into Ronaldo after lacing up, it can improve your technical ability and physical nature on the field. Not only does it help up your game, having the best cleat for you is extremely important for safety and injury prevention. This may seem like a lot to take in on such a simple decision, especially if you are just playing for fun. However, even when it’s just for pick up, the threat that a soccer shoe comes with if not chosen properly may ruin even more than just your Thursday afternoon six-a-side with the guys. Picking the wrong shoe can even cause permanent damage. Don’t get overwhelmed! Let us help you choose the best cleats for you and your feet. Why is the fitting of your soccer cleat important? Though there are various records and accounts, it really is difficult to date the soccer cleat back to its first pair. However, the first actual written down and recorded request and completion of the ordering of a soccer cleat was from King Henry VIII of England. This first purchase was made almost five hundred years ago, in 1526. His personal shoemaker, Cornelius Johnson, created the shoe for him, which cost about $100 (4 shillings). These cleats, of course, look a lot different from the one’s today, with a higher ankle, made of strong leather and was heavier. When the best production of soccer cleats became really popular was in the beginning of the 1900s. After World War II, the high demand for a production of the soccer cleat was met by several starting companies. Adidas, which is still in existence and loved by many, had introduced itself to the world in 1925, from Adi Dassler in his tiny workshop in Herzogenaurach. Some of the other companies to jump onboard with the production and perfection of making cleats to fit the masses who were drawn to the sport, were Gola, which originated in 1905, Valsport, in 1920, and Hummel in 1923. The interesting take on the history of two loved brands that started around this time was the origination of Puma and Adidas. Brothers Adolf (Adi) and Rudolf Hassler had first begun on their soccer cleat-making journey together, with the best brand of all time. But after a fallout, they had gone their separate ways, thus creating Adidas and Puma. The development of not only the material but also the design of the soccer cleat changed drastically for the following twenty years, attempting to make a lighter and agiler product. In came producers of cleats like Mitre, Asics, and Joma. This led to the 70s, along with the crazy, colorful decade of the disco: colorful cleats. Afterwards, Adidas skyrocketed and presented their most famous and best cleat, the Predator. Along with this worldwide phenomenon addition, came popularity of endorsements for professional soccer players, which increased the desire to produce unique cleats. In came Diadora, Umbro, Reebok, Kelme, and Lotto. The baby of the group, and yet the best and most popular nowadays, is Nike. Starting in 1998, with their most popular entrance design: the Nike Mercurial. It was one of the lightest cleats yet, weighing in at just 200 grams. Which brings us to the best market of soccer cleats today. The ever-changing world of soccer cleats has left us with the top three brands in the industry that have dominated the soccer cleat production line: Adidas, Nike, and Puma. With similar features, weights, and designs, the differences between the best brands and various cleats can be minimal, however, can make all the difference on the field. The production of the soccer cleat has evolved so much from where it was begun, that not only can you choose the perfect cleat optimized for your position, playing type, field type, and even body type, but also you can even customize shoes. Laser technology now presents us with the ability to best fit your individual foot, and customization can give us the opportunity to put names on our shoes, the number of our jersey, and even microchips or tracking tools used for measurements of involved players, who want to monitor their playing, running, and movements on their phones or online. We rated Adidas as our number one. Not only because of the history behind it, but also the quality of their material that keeps this shoe the most popular shoe in history. Our best cleats, these Copas, Copa Mundial, is originally designed and sound, are made of real, imported leather with synthetic lining for comfort. They are designed for natural ground. The shoe is light and fits well, a bonus is that since it is durable, it gives the wearer an overall good experience, eliminating possible foot pain. The original design hasn‘t changed much since the beginning and looks as if it is to stay that way, for a long time. Which brings us to the old age saying, “if it ain’t broke, don’t fix it”. Also, we would like to add in: Don’t mess with the best. Coming in second on our list are brought to you by Nike. The world-conquered brand is a young toddler on the field, when compared to the broad and aged history of Adidas. However, they’ve picked up the skill quickly, designing cleats that are light well and of high performance. The Mercurial Victory from Cristiano Ronaldo is made of synthetic material, which makes it lightweight, and has a high top end, like a sock built into it. This allows for security when worried about the shoe slipping off. This makes it also perfect for kids, who struggle with putting on and taking off does. Coming up again with their proof that with wisdom and experience, comes a good product. The Adidas Performance Ace cleat is a great choice for those trying to avoid breaking the bank. They come in a variety of colors, synthetic and low-top, although the opening comes a bit upwards, more so than an original shoe. Adidas is built perfectly best for wide feet, and this pair is no different. With a synthetic leather upper and an EE width, this cleat is made for those with wider feet. They also boast material that is easy to break in and is an overall quality shoe for a reasonable price. Though the shoe is pink on the underside, the laces can be varied in either an orange, green, yellow, teaberry, or blue color. The seller suggests that buying the shoe half a size bigger than your normal size works out well, but can also be bought in the size that you are. They are made specifically for fat, flat feet, which gives those with a wider build in their feet a perfect soccer shoe to wear. Made for those with longer, more narrow feet, these Messi Performance cleats are perfect for those who find other cleats too big for them, even when it is the right size. These cleats dark grey, shock blue, and silver metallic. Their material is also fitting for those with thinner feet because it is made synthetically. This does’t allow for much slack after wear and tear, and especially after breaking them in. These cleats actually brag about the fact that they are snug-fit and its ability to mold to your feet. 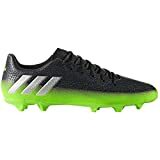 Perfect for kids just starting out, or those that have a little experience playing in the backyard, the Adidas Performance Kids Cleats are lightweight which helps kids get used to wearing the extra equipment to play. However, they are also sturdy and last all season. The great attribute about the cleats is their price. Since your child is most likely going to grow faster than you think, you need a soccer cleat durable enough to last all season, but cheap enough to put them aside after a year because your child is now too big. These shoes were specifically designed with forwards in mind. They have no laces, which eliminates the possibility of them getting in the way. They are ultralight with accentuation for comfort. The film on top also keeps water and debris, like turf beads out. They are lightweight, so they are made to move with quick speed. But are stable enough to last. They also have a nonstop grip, which is a thin layer of raised dots, which helps with ball control. This is perfect for an attacker. For the midfielder who needs not only lightweight cleats for all the running they do, but also optimum ball control and stability with Nike’s lowest level high tops. This means that they are not only comfortable, but also dependable to stay on your feet. All white to make you stand out from the rest, the Mercurial’s fit wide feet and narrow feet, and is perfect for the playmaker of the field: the midfielder. As a defender, you need a soccer cleat that’s not only thick in material for protection, you also need something with durability and stability, but won’t diminish in quality. This soccer cleat is made for defending, with the ultimate ball control, but also at a high speed. As a defender, this is crucial, when playing out of the back. It is also comfortable, so that at the end of the 90 minutes, you aren't weighed down by aching from your feet. It comes in white, blue, and black. Since you are a goalie, having strong traction is an important feature to have in a cleat. The Puma Ones not only are compatible for even soft, natural surfaces, they are made specifically for soft ground. This means that the combination of bladed and conical screw-in studs are great for traction when you’re going in for a dive or pushing off to make a jump to save a ball from the upper 90. 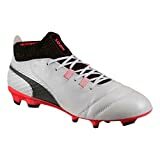 For when you're playing with your feet, you also need the Puma Ones for ball control and a full feel of the ball. There are also qualities in a cleat that you might be better off staying away from. Some of these qualities have been proven to make you more susceptible to injuries and hinder not just your play, but also your physical nature. Having the wrong soccer cleat can even increase your chances of getting injured. This can be true for even the most elite of athletes but targets mainly youth players and recreational, who might not have the best control of their movements as those with more awareness. Depending on the studs or blades of the cleats, athletes can run into problems with the ACL, or other ligaments when certain cleats are worn on the wrong surface. The main cause of most injuries is the pivoting motion that is so common in a game of soccer. Most of these injuries are also done on their own. They can be so simply avoided (of course, not all together), by just being aware of the type of cleat to use on the surface you're going to be playing on. For instance, wearing a cleat with studs made for grass might not be as effective when playing on an artificial surface like turf. There are so many cringe-worthy tales of players who just pivoted or turned on their own, while their foot stayed in place and then they heard a pop. This can be caused even by the type of cleat they’re wearing. The American Orthopedic Society for Sports Medicine states that over 150 thousand ACL injuries happen across the country every year, and of course, soccer players is a vast number of the total. However, this could possibly all be avoided just by wearing the proper gear. There are so many studies done like this one, which looks into which model of soccer cleats not only promotes a better performance in either artificial or natural grass, but also which model decreases the possibility of an injury when playing on certain surfaces. Based on this one particular study, various results can be concluded, but of course, never really proven. At the end of the day, your cleat is an extension of you. Everyone is different, from the way you play to what your body needs, so let’s help you pick the best that fits you, so we can try and lower the risk of injury with just a swap of cleats. You might think that buying a soccer cleat is a no-brainer — just head into the nearest sport store and pick the one that fits best, or just the best shop online, but even if you are just a recreational player playing pick up every once in a while, having the wrong type of cleat can be an open door to an entire range of unwanted problems. There are so many soccer cleats out there to choose from, so to find the best one, there is a process. The good news is that there isn’t just one method to the madness. There are several things to look for when buying your soccer cleat, mainly based on what’s most important for you. If you’re still not sure, here is a step-by-step guide to how WE picked our favorite and best cleats. First, the position you play should have an influence on your choice of cleat. For those playing soccer, you have only a couple of pieces of equipment to invest in. Along with shinguards, gloves if you're a goalkeeper or any other training gear, your soccer cleats will be the most important and therefore should be your best. You can train barefoot all you want, but without the proper cleat, it will be almost impossible to reach your top game. Depending on your position, the type of cleat you need might change. Starting at the back, if you are a goalkeeper, you will want to look for the best cleat that gives you strong traction because of your constant lateral movements and quick changes of directions. That traction will also help to give you that push out when you have to go for a dive or jump to make a save. For your goal kicks and those back passes coming towards you, you will want to look for a bare strike zone in your cleat, which can help you get the best quality, distance, and strength out of your kick. If you play in the back as a defender, a thicker cleat might be in your best interest. You will be constantly tackled, so the thicker your cleat, the better the protection. You should also make sure that your cleat is quality when it comes to passing the ball out of the back. This could be dangerous because you are in the back line, so your pass quality is crucial and should be at your best. Midfielders might want to look for a cleat that is made for the perfect touch and surround itself with the importance of ball control. Your position also is one on the field that runs the most, so comfort is also key here. As a winger, running up and down the field will be much easier with a lighter soccer cleat. Look out for the cleats that are lightweight, those are best, so you can perform those split-second turns when transitioning from defense to getting down the line for a cross on offense. If you play up top, check out soccer cleats that have the best strike zone, like the goalkeepers. Lightweight cleats but with good traction is best because you will need them for quick reactions when you’re in the box. Second, be aware of the type of field you or your child will play on. This can truly influence what type of cleat should be worn during play. Whether you are indoors or outdoors, on artificial turf or natural grass, the type of playing field you’re on can highly determine which cleat would work best. The main reason for this is the traction, grip, and possibly dangerous threat that wearing the wrong cleat can present. AG/TF - Artificial Grass cleats are best used on Turf Fields that have synthetic grass. Depending on the field, these shoes are designed with studs for a balanced field. If you are looking at the bottom underside of the shoe, the studs will be a bit longer than those rubber bumps on the soles, but shorter than the “firm ground” cleats. FG/Outdoor cleats - Firm Ground cleats are the best and most common cleats sold on the market because of the “middle ground” that it is suitable for. These are usually used for a field that has been well taken care of. These can be either with blades or a round stud. SG - Soft Ground cleats are necessary when you are living in an area where it rains quite often, or if the fields aren't usually in the best conditions.These cleats usually come with adjustable or interchangeable studs. Other types of cleats are HG, Hard Ground, which is made for fields that are made of thermal plastic or rubber, and Indoor Shoes, which have a flat surface and are made for gym floors or dry and artificial surfaces like a blacktop or even cement. If all these types of cleats are overwhelming, it is best to go into a store and talk with personnel there to help best direct you to the cleat you need based on the surface you play on. Another factor that can determine what type of cleat to purchase is to familiarize yourself with the weather you are going to be playing in. If you are indoor, for example, it is quite simple to choose a pair of cleats. However, if you are living in Florida and moving to Switzerland, you might want to rethink to change the cleats from FG to AG, because of the transition from the sun-grown natural soccer fields in the Sunshine State to sliding along artificial turf in your next snowy season in the Alps. Although we now have the release of All-Weather Soccer cleats by Nike, there are usually specific cleats that work best in certain weather. Then you have this pair, which can be played with regardless if you are in the snow, sleet, or rain. For instance, if you are playing on a hot turf surface, you might want to avoid cleats that have the sock built into them, because there is less ventilation. A lightweight shoe and carbon fiber soleplates in these circumstances are something to avoid if you know you are going to play in a hot summer league on artificial turf. For rain and wet surfaces, you should go with soft ground cleats. These have conical or blade shaped studs. They usually have two blades in the back, and four in the front. These are particularly dangerous, however if the ground isn't soft. Wearing these cleats on other surfaces can be dangerous because of its high off-the-ground approach. PRO - High-quality kangaroo leather in cleats are made to best mold directly into the shape of your feet after breaking them in. CON - However, the leather can keep stretching, making them larger than you wanted. PRO - It offers a thick protection for your foot. CON - It can become extremely heavy, especially if it rains. It also is harder to clean. PRO - Leather offers the best support and allows you to get a good feel for the ball. CON - It’s usually priced more expensive than synthetic, and is only offered in a small selection of colors and designs. PRO - They are usually water resistant and light, have the best weight. CON - They don’t mold well to your foot and don’t offer much protection. PRO - Much easier to clean than leather and generally cheaper. CON - They don’t let you have as close of a feeling to the ball, and the time to break in a new pair is longer than leather. Depending on the size or type of feet you have (narrow or wide), your cleat should be sized accordingly. These shoe sizes can not only differ from running shoe to soccer cleat, but also from brand to brand. Be aware that certain materials also become looser with wear. If you are a professional or one of the best, an elite soccer player, you might think also think that you already know the process. However, there are some specifics and details you might not be aware of that could greatly affect your game. Especially when you are already playing at such a high level, the most minimal of details can cause a large trajectory of change in your game, and also help best prevent you from injury. The fitting of your cleat is one of the factors that can greatly influence not only injury, but how you play. Including a shoe insert into your shoe for extra protection is a great idea, but must be taken into account when getting your feet sized for the perfect cleat. They take up space and also need to be thought about when finding your size. If you have decided to bypass the importance of finding the right size for your feet, you might run into various problems. One of the most common problems associated with an improperly sized soccer cleat is foot and heel pain. However, the pain can become so serious that it causes fractures, ingrown or even bruised toenails, plantar fasciitis, and shin splints. If you're new to the soccer world, whether you are joining an adult life to stay fit or with friends, or because your oldest child just found out the salary of the most famous soccer players and now cannot stop kicking the ball around the house, welcome! We are glad you’re here. The journey of a hundred miles, however, always begins with the first step. 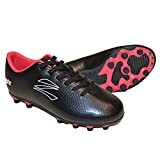 Though you can always use regular shoes to kick the ball around or practice, there is usually a point, normally when signing up for a league, that begins a countdown to purchase the perfect pair of cleats. The decision to buy a soccer cleat shouldn't only be based on aesthetic appeal, nor should it be chosen because your favorite player endorses them. Your best soccer shoe should fit you, literally, figuratively, and on so many other levels. Find the right studs for the field that you’ll be playing on. If you are buying for youth, make sure the cleat feels comfortable, but allow room to grow. If need be, use two socks. Don’t forget that, if you are going to the store to try them out, bring a pair of soccer socks because they are usually thicker than normal socks. Find a balance between quality and a good price. You don’t have to dish out hundreds of dollars on a pair of cleats if you don’t want to. There will always be a perfect pair for you. Lean to a specific brand preference if you already know what you like, but be open-minded. Once you purchase your new cleats and bring them home in that beautiful cardboard box, the next step that you need to work out is how to use them properly. If you think strapping those on and going out to your next match will go smoothly, think again. There is a process of getting used to a new pair of cleats. The process is called “breaking them in”. This will get them worked on to fit you best so that they are not so stiff. Wearing new cleats without breaking them can cause you to get a blister on your feet, normally at the back of your Achilles, but can pop up anywhere on your foot. There are multiple “tricks” out there to breaking into a new pair of cleats involving warm water, soaking, etc. But the easiest and most natural way to do it is to bring them to your trainings. Wear them at the beginning of your trainings, but then bring your old pair to change into. Eventually, they will start to mold to your feet (especially if they are leather), and feel more comfortable. Then you can play with them longer and longer until they are broken in. First of all, we hope that the process the second time around will go along a bit more smoothly of choosing the best soccer cleat for you. Since you will be more aware of the specific aspects to look out for and also from size and material to brand name and style, which cleat fits you best, will be a no-brainer. Secondly, the process of buying, using, and deciding when it is time to repeat the cycle is a different experience for everyone. This means that from one player to the next, the amount of time that a player spends with a specific pair of cleats can be drastically different. From years to just months, the timeline and life of a pair of cleats all depend on the usage of the cleats, preference of the player, and quality, amongst many other things. If you really are not sure when you should give your cleats the boot, we have some helpful tips when trying to prolong the retirement date for your shoes. There is no magic number of months or years that your cleats will last. Depending on how often you play and how you take care of your cleats will play a large role in their lifespan. If your cleats are detachable, take off the attachments, or just remove your shoes when getting off the playing field. Walking around on hard cement surfaces with your cleats can ruin them. Keep them clean and dry. Those horse brushes on the side of the field are there for a reason. Try to get into those creases and get all the grass, dirt, and turf beads off that you can. Drying them is also an important step when it comes to care. Instead of leaving them out in the sun where the exposure can damage them, you can stuff newspaper into them to soak up the water. Be aware of the type of material that your cleats are made of and treat them accordingly. There might be just some things you don't know when it comes to soccer and soccer cleats. You might have familiarized yourself with the history of the soccer shoe, but certain facts might actually surprise you. The most expensive soccer cleat in the world being Cristiano Ronaldo’s Nike Mercurial Super Fly IV CR7 FG, with the price at $300, Ronaldo actually designed these cleats himself to wear and share with the world. They are so expensive because they give a barefoot feeling, yet have a studded pattern underneath which benefits from traction. They also extend to the ankle, which allows for comfort and sturdiness. There have actually been world records solely devoted to soccer cleats. For instance, the United States Soccer Foundation tied 11.904 cleats together to make the longest chain of soccer cleats ever. This was over one thousand more cleats than the previous record. It was set a National Soccer Coaches Association of America conference located in Missouri. Fortunately, the cleats were then given to underprivileged children. Interestingly enough, there’s actually no rule stating that a player has to wear soccer cleats. Obviously, it is the preferred footwear, because of the nature of the sport, but a player is perfectly entitled to wear shoes of any kind. According to the U.S. Soccer Laws of the Game, there are a few rules regarding equipment, however, the only thing about cleats that can be clearly stated is that the player must have “footwear”. For those who still have questions after reading this entire guide, never fear, you aren't the first and you won’t be the last. There are questions that come with every big or important purchase, and we hope to help you answer them to the best of our abilities. Whether you want to know how to find your perfect shoe size, or if there are cleats out there made specifically for left footers, we hope we got your questions covered in this section. Q: If I am a hard tackler, what type of cleat should I get? A: Stray away from synthetic-made shoes, as they don't offer as much protection as leather. Leather, even if it is synthetic leather, works best. Q: Do I have to buy the proper cleat based on the field? A: As explained before, it does work best. Buying an “improper” cleat can prose a threat raising the risk of injury. Q: What are the most common surfaces for fields? A: Across the nation, a lot of complexes are turning to synthetic because of the cost of maintenance, its susceptibility to weather, and it usually consistent on its surfaces. Q: Do the sock liners offer protection? A: Yes, but it is more of a mental game than anything. However the sock liner and high top can offer a thin extra layer of protection. We hope that this guide will help eliminate most of the doubts and will answer most of your questions when it comes to purchasing the best cleats for you or your child. For something that some people might label as such a simple task, there are actually quite a few things to look out for when trying to find the best. We hope that after reading this article, you are more knowledgeable on not only the steps to take to find the perfect cleats but also to be more aware of why it is so important to hold the process of purchasing cleats at such a high regard.